The Daytona Beach News-Journal will host a spring MEGA Job Fair on Tuesday, March 15 from 10a to 3p at the News Journal Center at Daytona State College located at 221 N. Beach Street, Daytona Beach. This year’s job fair is sponsored by Daytona State College, CareerSource of Flagler-Volusia, Synergy Billing and MONSTER. Their partnership with CareerSource of Flagler-Volusia will add value to both the job seeker and the employer. New this year is the CareerSource FREE RESUME-LAB; this will take place on March 9th from 8am – 11am and will be held at CareerSource Daytona - 329 Bill France Blvd. Daytona Beach (Speedway Business Plaza). CareerSource staff will be on site to review resumes and provide feedback to have resumes, “resume ready” for March 15th. 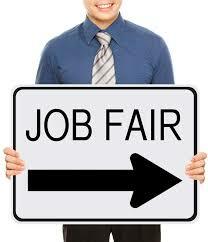 Pre-register for the job fair at news-journalonline.com/jobfair for early access to employers on March 15th. All employers participating will receive a complete list of job seekers that are seeking specific positions of interest as they relate to each employer. A survey will provide additional details to the employers on the experience of the attendees. If you are interested in attending as an employment vendor or seeking a new career path please visit news-journalonline.com/jobfair for all necessary information or call 386.681.2365.